First National Bank To Merge with Equity Bancshares, Inc. The merger announcement occurred after Equity completed two mergers on November 10, 2017, entering Newkirk, Ponca City, and Tulsa, Oklahoma, adding Oklahoma as a fourth state to its Midwestern footprint. After the KBC and Adams mergers, Equity will have completed 17 successful business combinations in 16 years, and seven since the Company’s initial public offering in November 2015. “We’ve been fortunate to work with strong community banks in our four states to deliver an outstanding banking experience to customers in diverse markets. The addition of First National Bank is key for our expanding Western Kansas footprint and represents the addition of the market leader in Southwest Kansas,” said Brad Elliott, Chairman and CEO of Equity. The KBC merger allows Equity to add Southwest Kansas as a new region in its home state. KBC operates four bank locations in Liberal, Kansas, and one in Hugoton, Kansas. KBC ranks first in reported deposit market share in Seward County, Kansas, according to June 30, 2017 data provided by the FDIC. The five bank locations will comprise Equity’s Southwest Kansas market upon closing. Equity completed a recent Western Kansas merger on March 10, 2017, with the addition of three Prairie State Bancshares, Inc. locations in Hoxie, Grinnell and Quinter, Kansas. Equity will operate 23 bank offices in Kansas after the KBC merger. Equity reported $3.0 billion in consolidated total assets, loans of $2.0 billion, and deposits of $2.3 billion as of November 10, 2017, upon completion of its mergers with Eastman National Bancshares, Inc. and Cache Holdings, Inc. Equity currently has 42 full-service bank locations in Arkansas, Kansas, Missouri and Oklahoma. After completion of the mergers, Equity expects to have approximately $3.5 billion in consolidated total assets, and the combined institution is expected to have approximately $2.3 billion in loans and $2.8 billion in deposits. KBC principally conducts banking business through four full-service branch locations in Liberal, Kansas and an additional location in Hugoton, Kansas, about 30 miles west of Liberal. Founded in 1900, KBC’s home office is at 1700 North Lincoln Avenue in Liberal, Kansas. As of September 30, 2017, KBC had $310 million in total assets, $170 million in loans and $274 million in deposits. KBC ranks No. 1 in FDIC deposit market share in Seward County, Kansas, with 57%, and No. 2 in Stevens County, Kansas with 27%, as of June 30, 2017, according to FDIC data published by SNL Financial. KBC local leadership will continue to serve as part of Equity, including Tina Call as President & CEO of Equity’s Southwest Kansas market. “We’re proud to find a partner that will continue dedicated, high-level service to our communities of Liberal, Hugoton, and our Southwest Kansas region. 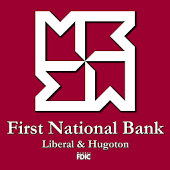 For more than 100 years, First National Bank of Liberal/Hugoton has been committed to the needs of our Southwest Kansas customers, and we’re eager to continue delivering financial solutions and local decision-making that our customers trust,” said Ms. Call, President and CEO of FNB. At closing of the transaction, which is expected to occur in the second quarter of 2018, KBC will merge with and into Equity, subject to receipt of customary regulatory approvals and closing conditions, including KBC shareholder approval. Under the terms of the definitive agreement, approved by the boards of directors of Equity and KBC, at the effective time of the merger the shareholders of KBC will have the right to receive an aggregate consideration of approximately $558.69 per share. Equity will acquire all outstanding shares of KBC common stock. The definitive agreement provides that each outstanding share of KBC common stock will represent the right to receive a fixed exchange ratio of 10.173 shares of Equity Class A common stock and $207.83 in cash. Based on an assumed Equity stock price of $34.49 per share, the aggregate transaction value is approximately $45.1 million. The actual aggregate transaction value may be subject to equity adjustments prior to closing, as further set forth in the definitive merger agreement. Equity expects the merger to be approximately $0.06 accretive to diluted earnings per share in 2018, and $0.10 accretive to earnings per share in 2019, with transaction-related and one-time costs of approximately $6.1 million. Equity expects the merger to be approximately 1.8% dilutive to tangible book value per share at closing, inclusive of the estimated purchase accounting adjustments, and expects the tangible book value earnback to be 2.8 years using the cross-over method. Finally, Equity expects to remain above all “Well Capitalized” capital ratios as defined by regulatory guidelines, inclusive of the impact of all estimated purchase accounting adjustments.